Total Comfort Cooling & Heating Co., Inc.
Air Temp Service Company, Inc. Comment: Replace existing furnance, baseboard system. Comment: The lower floor never really gets warms and that's with the thermometer on 79. And the basement is literally freezing, but we use it - laundry, there is a bathroom down there. We believe we may need to seal up something?????? We need someone to come take a look and tell us how we can make it warmer. Comment: We have a peerless cast iron boiler and on the left side the bigger pipe there is a small leak. You can tell there is a problem because there is some rust and crust. Do you provide free estimate to set up an appointment. Thank you. C&N Mangelli Electrical Contractors, Inc.
Hackensack Heating & Furnace Contractors are rated 4.72 out of 5 based on 3,533 reviews of 60 pros. 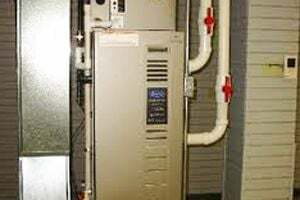 Not Looking for Heating & Furnace Systems Contractors in Hackensack, NJ?